Dr. Lisa M. Jordan started this family practice here in Windsor in 1993. She enjoys helping her patients improve their health, appearance and self esteem by creating the smile of their dreams! Her goal is to provide every patient with the tools they need to maintain a healthy smile for a lifetime. Dr. Jordan takes many hours of continuing education to stay current in the field of dentistry. Her goal is to provide the best care possible for her patients. The focus of dentistry is changing. We are more than "tooth doctors" that are filling holes! The links between oral health and heart disease and diabetes have been well documented. Dr. Jordan and her team educate their patients in how to maintain a healthy mouth as one step in maintaining a healthy body. Our office is equipped with such state of the art equipment as digital x-rays, intraoral cameras, and a variety of bleaching options. We also offer the Velscope oral cancer screening system and are an authorized provider of the Under Armour Performance Mouthguards. 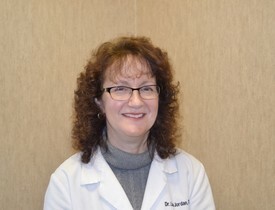 Dr. Lisa M. Jordan grew up in nearby Windsor Locks. She received her bachelor of science degree in biology at Siena College in 1984. She earned her DDS at Georgetown University School of Dentistry in 1988. She and her husband, Dr. Young, bought this practice in 1993 and moved to Windsor to raise their family. They have 3 children-Spencer, Kristen and Cameron- who have literally grown up in our practice! In her free time, Dr. Jordan loves to read and make scrapbooks of all the great travel adventures that her "cruise director", Dr. Young, plans for them. She loves living in Windsor and being a part of the close knit community.